1. 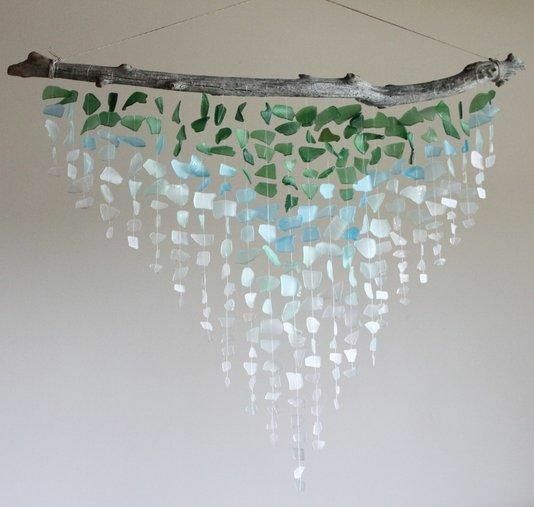 Sea Glass Decor: Embark on an art project with your kids, and turn the sea glass you’ve collected over the last few beach trips into a wind chime or wall art. 2. Seashell Displays: Nothing screams “beach!” quite like seashells. Large seashells look great just sitting as displays on your coffee table or mantle. For an added effect, create a gallery out of your favorite seashells by framing them and labeling them with the location you collected that particular seashell. 3. Mason Jar Collections: Mason jars are the best way to store and collect small beach treasures, including all the sand, rocks, and shells that your kids pick up on every beach trip. Dedicate a new jar for every trip, and have the little ones help decorate your home. Get the look with Furniture Fair: You can also store sea shells on an end table within a fillable lamp. 4. Go Nautical: Channel your childhood days of building model sailboats as these miniature sailboats make for great living room decor. Put them on shelves next to a few seashells or one of your newly made Mason jar collections. 5. Organic Elements: In addition to sea glass and seashells, utilize driftwood, coral, and twigs to bring earthy elements into your home. Don’t overdo it, though—these tend be larger pieces that can be a focal point of the room. 6. Rope: Wrap chandeliers, lamp bottoms, and vases with rope to easily add beach tones to something that you already have in your home. 7. Keep It Light: This applies to everything. Whites and blues will keep the coastal vibes in your home going strong, especially white furniture. Make the whites shine even more by highlighting white pieces with sea blue throw pillows and decorative elements. 8. 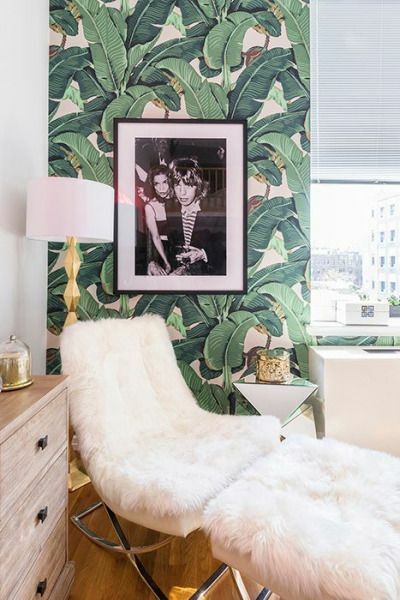 Palm Trees: Whether it’s the real thing or wallpaper, palm trees are perfect for adding a slice of paradise to your home. Turn on the sounds of some ocean waves, lay back, and enjoy the beach! The post Life’s a beach appeared first on Cincinnati Furniture || Dayton Furniture || Furniture Fair Blog.